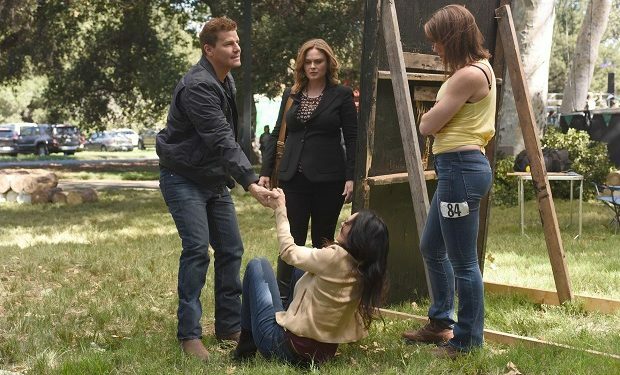 ‘Bones’ — Who Is Nancy at Lumberjack Contest? 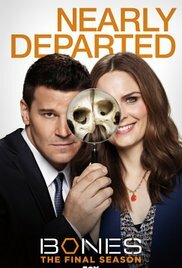 On the Bones episode ‘The Final Chapter: The Flaw in the Saw’, Brennan and Booth investigate the murder of Phyllis Paul, a professional golfer turned lumberjack. When they show up at the Lumber Sports Regional Championships, they meet Phyllis’ rival Helga and Nancy Alpert — who Booth literally picks up from the ground. Nancy is portrayed by Inga Cadranel. The Canadian-born actress is known for her roles on Dark Matter (Alicia), Orphan Black (Detective Angela DeAngelis), Lost Girl (Aife), Backstrom (Chief Anna Cervantes), The Strain (Diane), The Bridge (Jill), and Rent-a-Goalie (Francesca), among others. Bones airs Tuesdays at 9pm on FOX. Who Is Brett’s Friend Christie on The Real O’Neals?